We help you find the healing you need. When it comes to auto injuries, the pain you suffer can seem to only get worse with time. Whether you are suffering from low-back pain or an unending headache, we can work with you to find the right treatment for your needs. With state of the art technology and experience treating an array of auto injuries, we are the team you can trust for car accident injury treatment in Mesa. Book an appointment with our team today. If you are experiencing any of the following symptoms after a motor vehicle accident: neck pain; upper, middle, or low-back pain; headaches; nausea; dizziness; shoulder, arm, or leg pain; or other symptoms, we invite you to please call our office. Our team will work to discover the root of your pain and we will provide you with an individualized approach for treatment. 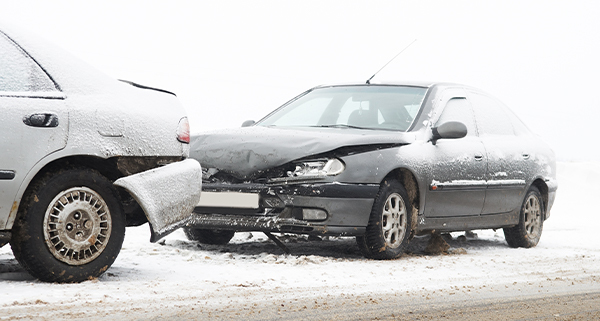 Here at Accident Chiropractic, we understand that the ramifications of a wreck can be long-standing. Even if you didn’t notice pain the day the car accident occurred, you might find yourself with lingering issues down the road. Our goal is to determine what is causing you discomfort so we can properly treat the root of the issue. We never treat our patients as a one-size-fits-all approach. Rather, we focus on specialized care. When you visit our team, you will be heard. Your concerns have a place with us and your pain is what motivates us to keep striving to constantly improve our practice. With years of experience helping individuals post-accident, we have seen it all. We will be happy to meet with you if you are suffering from post-accident related injuries. Don’t hesitate to come visit us at one of our Mesa locations today for post care accident care. Our experienced doctors have taken extensive post doctorate courses in the treatment of victims of car accidents. We have specialized equipment such as J-Tech instrumentation, which is used to perform “Functional Capacity” evaluations, disability, and impairment ratings. We also offer physical therapy and an exercise rehabilitation center to help get you back to your normal pre-accident condition. Most auto insurance companies cover the cost of care. Our office accepts third-party assignment of benefits including attorney liens, medpay benefits, and health insurance (excluding deductibles and copayments). Based on qualifying insurance, this allows you to be treated with little or no out of pocket costs. We will be glad to work with the responsible person’s insurance carrier or your attorney to make sure that you receive all the care you need. You will need to bring in all insurance and/or attorney information with you at the time of your chiropractic appointment. Most whiplash injuries are the result of motor vehicle accidents or collisions involving contact sports. When an unexpected force jerks the head back, then forward the bones of the neck snap out of position and irritated nerves can interfere with flow of blood and transmission of nerve impulses. Pinched nerves can damage or destroy the function of body parts whose actions they govern. Tension shortens and tightens muscles. Fatigue relaxes them. Either condition increases the likelihood that whiplash will occur and the probability that the injury will be severe. Sometimes symptoms of whiplash appear right away or they may not develop until hours, days, or weeks after the injury occurs. Whiplash is difficult to diagnose because x rays and other imaging studies do not always reveal changes in bone structure. Organs affected by nerve damage or reduced blood supply may generate symptoms not clearly related to whiplash. Diagnosis is based on observation of the patient’s symptoms, medical history, physical examination, and neurological studies to determine whether the spine has been injured. Medication, physical therapy, and supportive measures are used to treat whiplash. Chiropractors gently realign the spine to relax pinched nerves or improve blood flow. A patient whose symptoms are severe may wear a soft, padded collar (Thomas collar or cervical collar) until the pain diminishes. When pressure on the root of the nerve causes a loss of strength or sensation in a hand or arm, a cervical traction apparatus may be recommended. Inflammation and cramping can be alleviated by wrapping ice or an ice pack in a thin towel and applying it to the injured area for 10-20 minutes every hour. After the first 24 hours, painful muscle spasms can be prevented by alternating cold packs with heat treatments. Letting a warm shower run on the neck and shoulders for 10-20 minutes twice a day is recommended. Between showers, warm towels or a heat lamp should be used to warm and soothe the neck for 10-15 minutes several times a day. Improving posture is important, and gentle massage can be beneficial. Sleeping without a pillow promotes healing, and a cervical collar or small rolled towel pinned under the chin can provide support and prevent muscle fatigue. Alcohol should be avoided. A chiropractor, primary care physician, or orthopedic specialist should be notified whenever a painful neck injury occurs. Another situation requiring attention is if the face or arm weaken or become painful or numb following a neck injury. With treatment, whiplash can usually be cured in one week to three months after an injury occurs. If nerve roots are damaged, numbness and weakness may last until recovery is complete. Chiropractors can recommend diet and exercise techniques to reduce stress and tension. Careful, defensive driving, wearing seatbelts, and using padded automobile headrests can lessen the likelihood of whiplash. If you’re in pain from car accident injuries, then take advantage of our chiropractic services by making an appointment today. Haggerty, Maureen. “Whiplash.” A Healthy MePage. June 7, 1998. http://www.ahealthyme.com/topic/topic100587681.